This is Megan, from Meg Pies and author of Real Clean Life. Megan was super excited to have these photos taken and she was so surprised at the outcome, I think she may not recover, so I am taking it easy on her with this post. Meg will be working with me soon on set design, so if you come for a session, you just may get to meet this beautiful girl. I wish I could post more of this gorgeous session, but this will have to do. 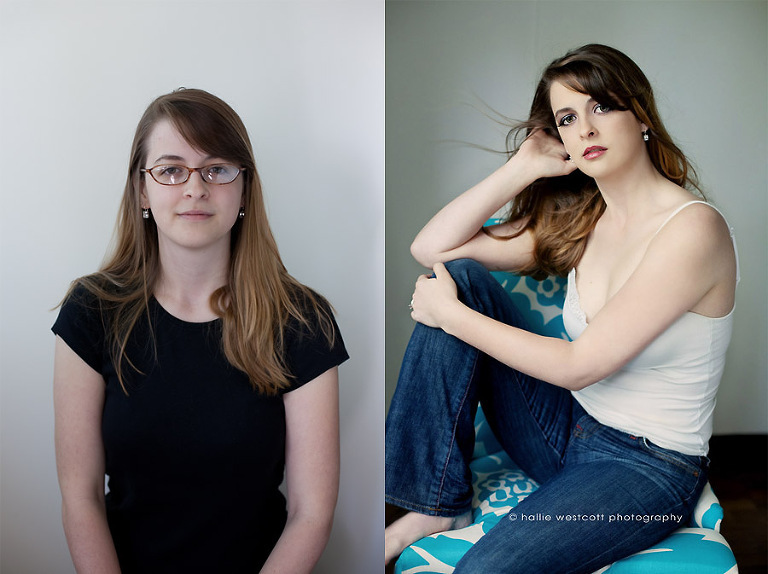 I wanted to give women a little taste of some Glam…before and after. This is just a small bit of the transformation you can have with myself and my makeup & hair stylist. Yup, it’s all in the package and you will have a blast! If you’ve been feeling a little down about yourself lately, this is a great way to dump those thoughts and see yourself in a new light! After all, I don’t know a single woman out there that doesn’t struggle with body image, I know I do. So, if you have curves, bring em’! Bone thin? Got you covered! You will look hot and go home a new woman with a new outlook! 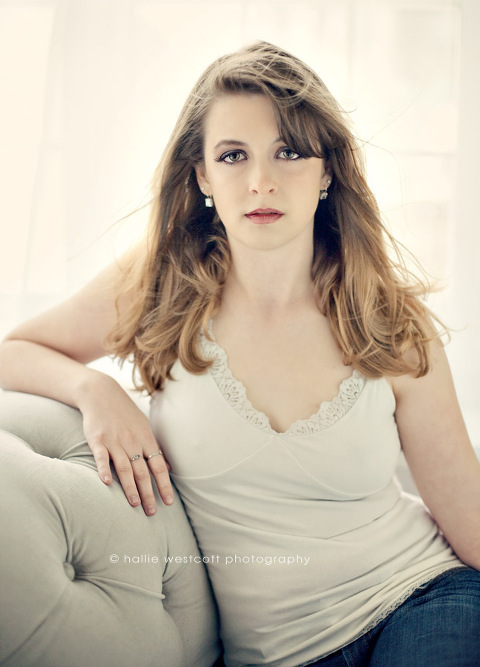 I want to thank Emily Hewett for providing the hair and makeup for this session! You rock Em. And thank you Megan…you are gorgeous! PS- I am looking for models for June and July glamour sessions. If you are interested, please contact me at halliewestcott@gmail.com and I will send you all the details.